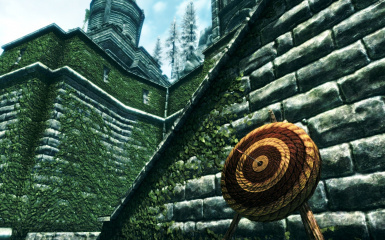 Proper Aiming fixes the crosshair aiming with Bows or Spells. Proper Aiming helps with the crosshair aiming with Bows or Spells. The projectile should now go towards crosshair and not miss the targed that is aimed at. This is mainly intended for users with customized third person camera. To see examples of how it works in vanilla and then with Proper Aiming watch the video. Known issue: it doesn't work with constant spells such as Flames, Sparks or Wall of Flames, etc... The rest of spells works fine! Extract in your Data folder. Enable Proper Aiming.esp in your favorite Mod Manager. Go to section Highly recommended and follow the instructions. They are optional but helps with arrow gravity. Disable Proper Aiming.esp in your favorite Mod Manager. Delete Proper Aiming.esp from your Data folder. Solution: Move the mod at bottom load-order. Certain mods modifies the same parameters as this one and gets overwrited. Note: if you have other lines such as the ones with Magnetism, remove them at least until you are done with this mod. "This mod fiddles with auto-aim to make crosshair aiming work like it should with a drawback. Bigger auto-aim on big targets. But on smaller targets should be null or barely visible. Anyway, it's not perfect, I know, but that's the best I could get with tweaking the values. Note that I tried to disable auto-aim while doing this, but it's really not possible without breaking crosshair aiming."